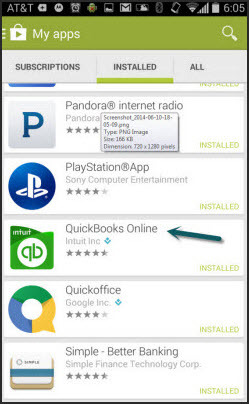 If you are using the web version of QuickBooks Online (on a computer or laptop), see How to Cancel your QuickBooks Online Company (United States) . 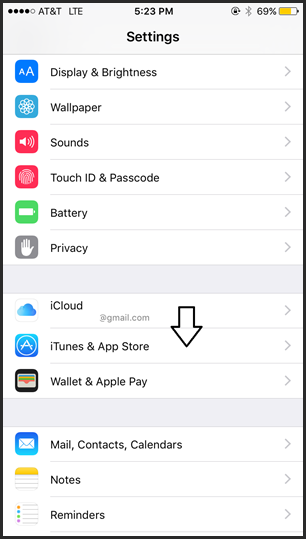 If you are using a mobile device (phone or tablet), proceed below depending on which mobile device you have, an iPad or iPhone or an Android. 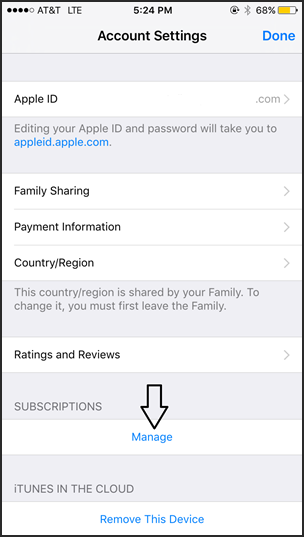 Select the swipe button next to Automatic Renewal to turn it off. 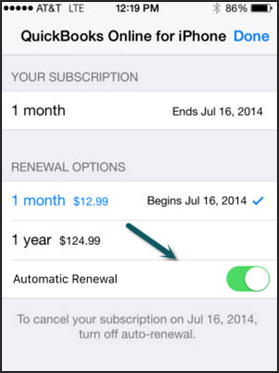 Once you turn auto-renewal off, Apple will stop charging you on a recurring basis. Your company will remain in the current state until the End Date. 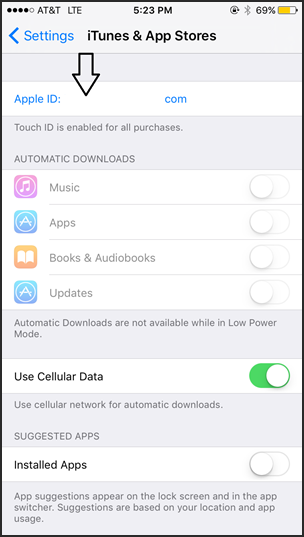 If you don't have access to your iPhone or iPad, you can cancel from your computer. Go to iTunes on your computer. Select Store, then View My Account. 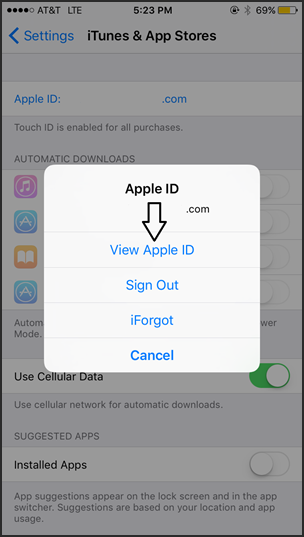 You may be asked to re-enter your Apple ID and password. 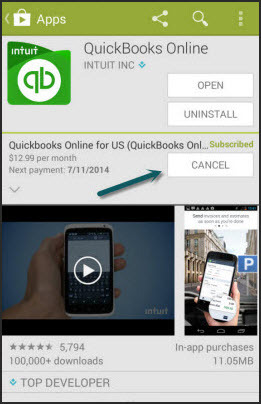 From the Manage Subscription screen, select QuickBooks Online. Select Off to turn off auto-renewal and cancel the subscription. Select Cancel to cancel your subscription. If you lost your Android device or don't have access to it, you can cancel from your computer. 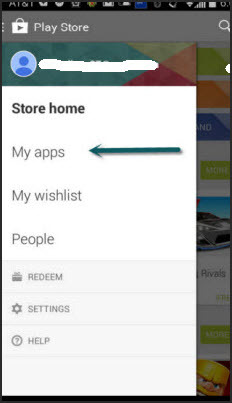 Go to the Google Play store on your computer.